Hi! Well doesn't the time fly! Hardly seems any time since my last DT entry for our challenges over at Crafting with Friends! As always, the challenge is Anything Goes and I was lucky enough to choose this image from Star Stampz. She's called Kimono Portrait and was an absolute joy to colour. 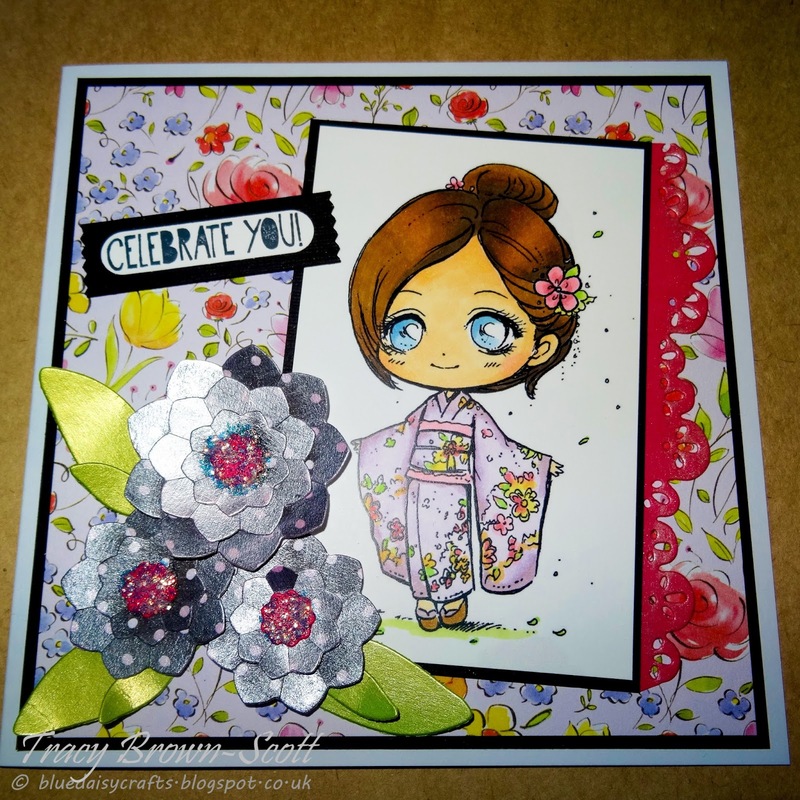 I though it might be difficult to get the kimono detail but actually the fluidity of the detail means you can kind of be a bit random and dotty with the alcohol markers and get a nice blend of colours. I took inspiration from the papers for the colours. I hope you like this card and enjoy the inspiration from my DT colleagues. 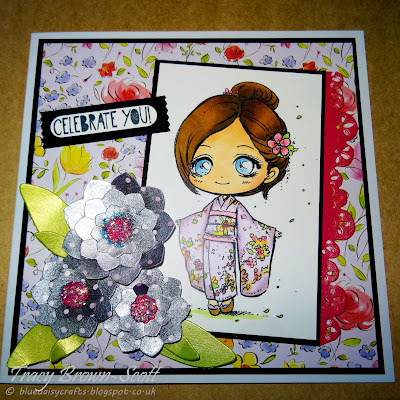 Please pop on over to Crafting With Friends and join us with the fun!